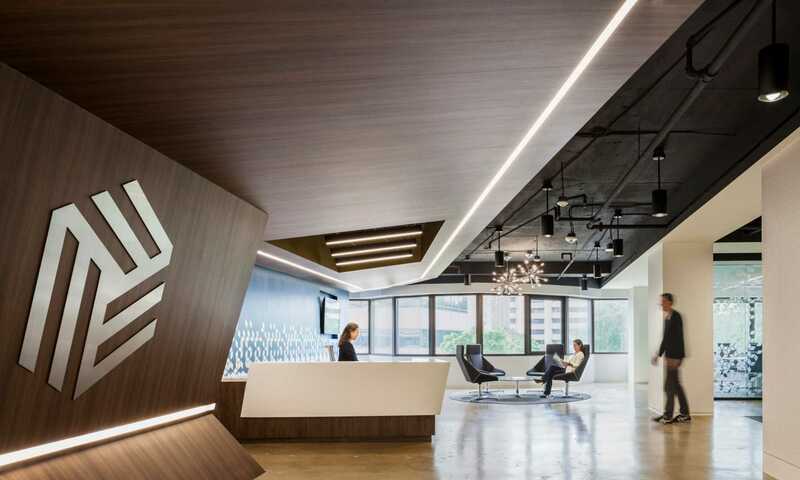 To create a space that is an appropriate balance of a playful and professional environment all while trying to figure out what aesthetic best reflects the future of the organization. 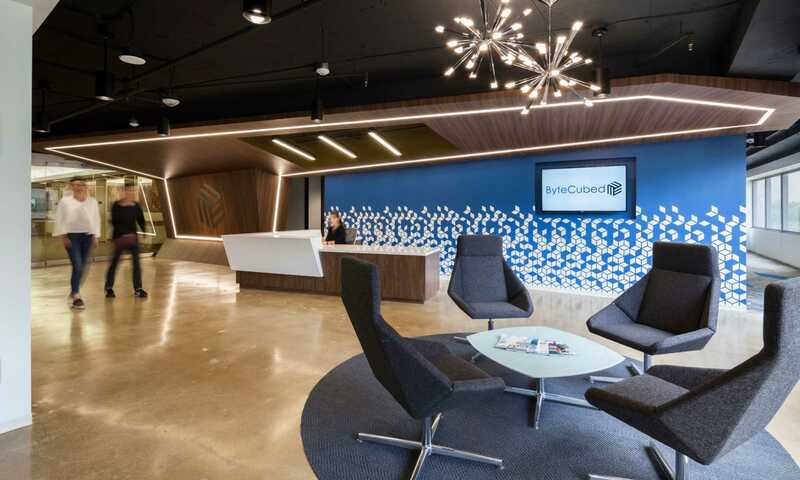 ByteCubed, a technology firm that in five years grew from two employees to more than 100, needed to consolidate those employees who had been working in various generic office spaces in Northern Virginia. 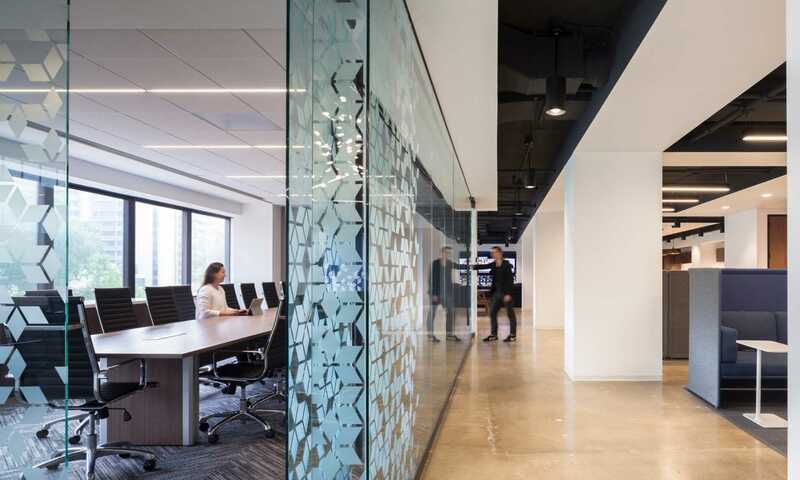 HKS designed a sophisticated space for young innovators and meeting spaces for hosting top level government officials, as the headquarters are located just minutes from the Pentagon. 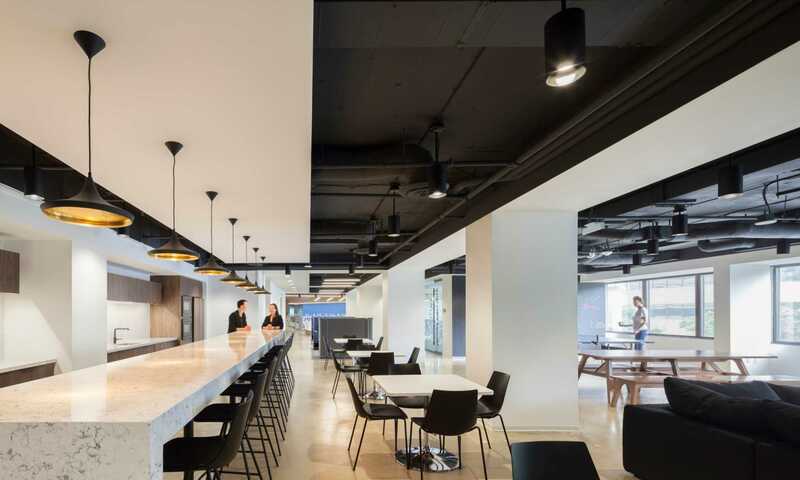 The design dedicates one third of the entire office for communal space, making employees more accepting of their reduced individual footprint. With most of the office staff working on laptops, employees can utilize bar height tables, café tables, bean bag chairs or sofas to work in a different environment. By providing choice in where and how to work — a full 30 percent of the space is unassigned lounge/gaming/seating — ByteCubed HQ suits its young workers while also serving as a recruiting tool. Providing employees with the best tools for both work and blowing off steam resulted in a more engaged, happier and healthier team. The new design has helped improve recruiting as it is used as a selling point for potential employees. Director of Commercial Interiors, Washington D.C.